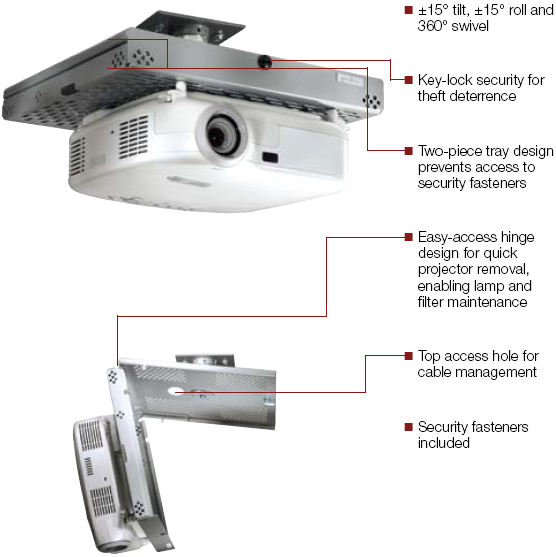 access secure components. This sleek yet solid security tray comes complete with the mount, extension column connector and cable management system that keeps cords out of sight. 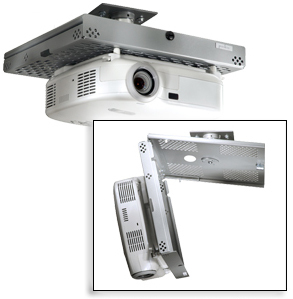 The PSM-UNV combines security with easy to install and use design that is uniquely Peerless. 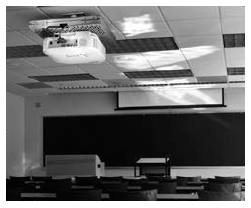 Note: Projector-specific models with lamp and filter access available. Contact your area sales representative.